Mark and Stuart reflect on last weekend's 6 Music Festival and - marking the 70th anniversary of his birth - celebrate the work of Gil Scott-Heron. 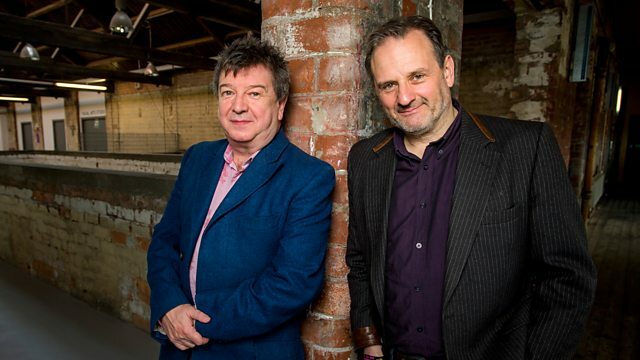 Mark Radcliffe and Stuart Maconie present a feast of great music and chat for weekend breakfast. On today's show... a selection of highlights from last weekend's 6 Music Festival in Liverpool. Plus, Mark and Stuart celebrate the work of influential musician, poet and author Gil Scott-Heron who would have turned 70 this week. Catch up on the best music and entertainment stories of the past week in ‘This Week In Music’.